and you know how fabric addicts have an issue with left-over scraps too, they just can't go to waste. 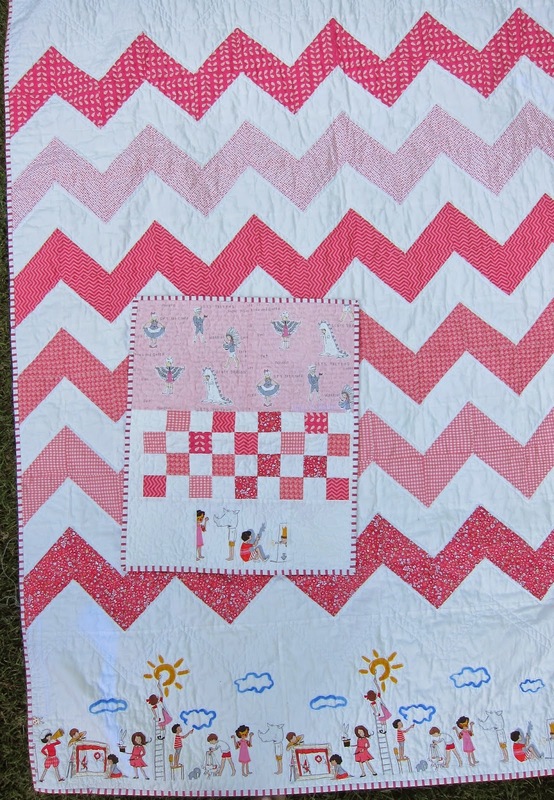 How fun to have a matching doll quilt to go with your own quilt !!! How cute! I totally love the extra character, too. 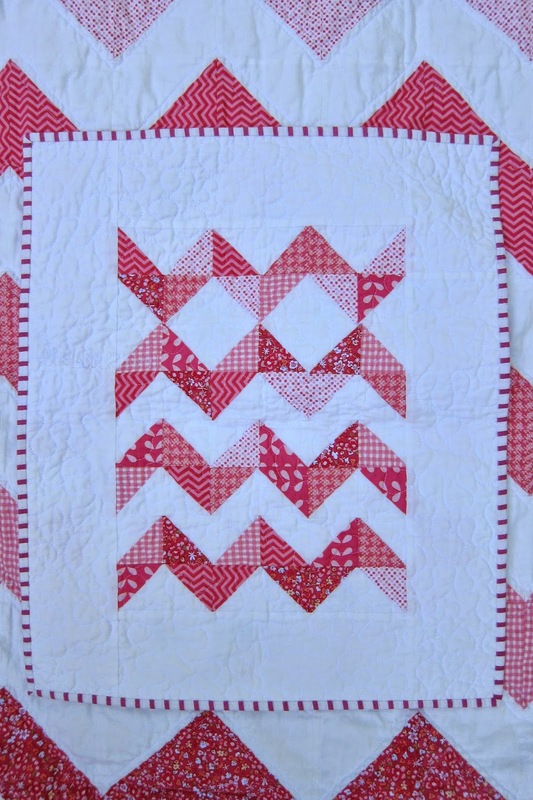 I have done chevrons before and I see "it" but...gives me the idea to make the chevrons all that way! Plus, I just got some Wee Wander prints and didn't know what to do with them exactly but i like your layout.I think its a perfect Wee Wander theme! That is so adorable! Everything is so nicely put together, I love the binding!! Lovely way to use up left overs. It looks great, especially with its extra character. Adorable! I love that it matches her quilt! Oh yeah!!!! Absolutely love it! Super cute....all of the photos!! This is the sweetest photo I have seen in a long time! She is definitely smitten . 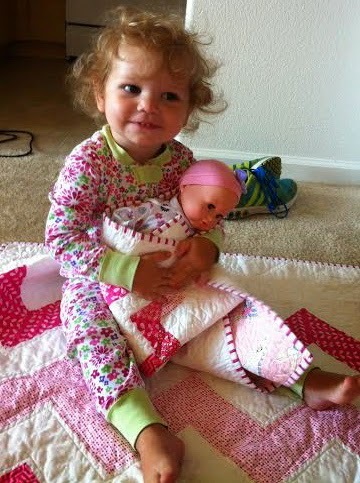 That is the cutest pair of quilts I think I have ever seen! 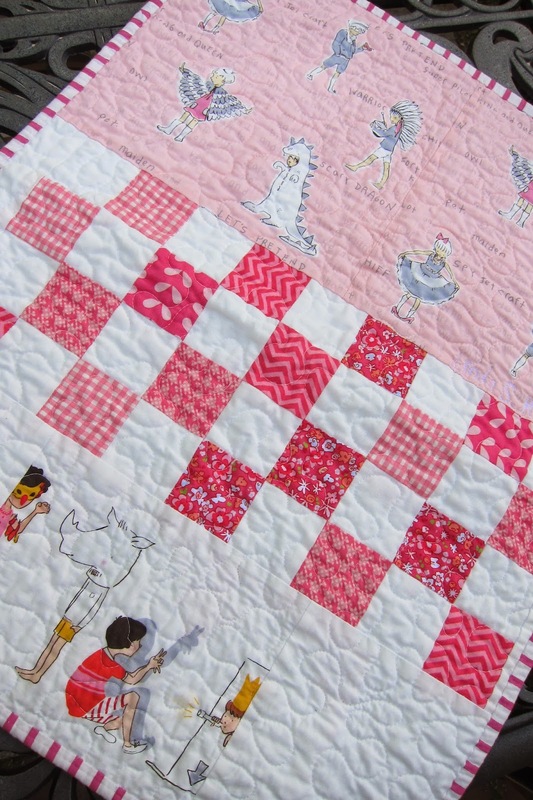 I would've loved matching quilts as a little girl. Your granddaughter sure is lucky!